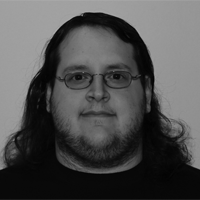 Cody Brocious is a hacker for the Mozilla Corporation with over 8 years of experience as a computer security researcher, reverse engineer, and developer. Prior to this, he worked for Matasano Security as a senior security consultant. His reverse engineering and hardware analysis work, written about in Forbes and Ars Technica, includes early key research in hardware jailbreaking (including an ARM decompiler), reversing projects that led to the first Linux compatibility for the Apple iTunes Music Store, and Linux compatibility for Windows games.